The sleepy, serene island of Okinawa is a simple piece of heaven on earth. It's said that Okinawa is Japan but at the same time it's not. Tokyo and Osaka heave with traffic, black-suited crowds and flashing neon lights. But Okinawa, the largest of the remote Ryukyu Islands, which span nearly 1,000km between southern Japan's island of Kyushu and northern Taiwan, offers a different flavour−think Japan on its day off−with its distinctive cultural mix, world class-beaches and a laid-back ambiance. The colourful Kokusai Street markets, a little further down the capital's main drag, is also a great place to try other local delicacies, like pickled black pork skin, and to stock up on herbs and vegetables that will help boost your own longevity including handama, ucchin (turmeric) and goya. You can also haggle for shimmering Ryukyuan lacquerware and locally blown coloured glass, and strum a three-stringed, guitar-like sanshin. Foodies looking for some culinary adventure should head to the nearby Kosetsu Market, on Heiwa Street. It’s famous for its tanks of live reef fish, local vegetables and pig face skin, an Okinawan specialty that is apparently great for your skin. A local delicacy, pig face skin is often deep fried and used as a decoration, or added to soup, giving it a soft, chewy texture. 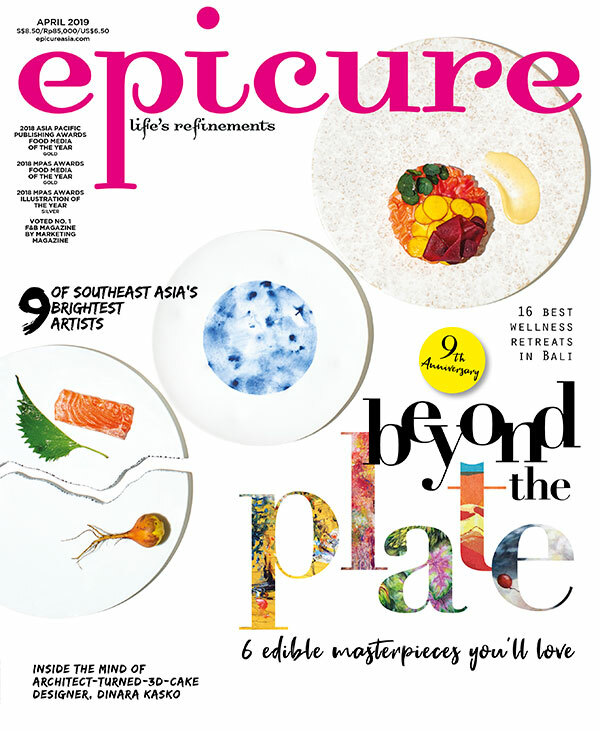 Excerpt from the January issue of epicure.